By the time the new school opens in 2020, there will be 1,000 primary school-aged children living in the Googong area. Photo: Supplied. The growing Googong township near Queanbeyan is to get its first public primary school, with funding set aside in the NSW Budget for planning and design work. Deputy Premier and Member for Monaro John Barilaro said a new public primary school for Googong would give families more choice, with the private Anglican school in high demand. Mr Barilaro said the funding for the new primary school was part of a record $6 billion investment in schools by the NSW Liberals and Nationals Government. Mr Barilaro said that last year he had attended a meeting of the Googong Residents Association where residents raised the duplication of Old Cooma Road and a new primary school as the two priorities for Googong. “I am excited to announce that today I am able to tick off both these projects,” he said. Mr Barilaro said the need for this school had been made all the more evident following the ACT Government’s decision to limit the choices for NSW students studying in the ACT. Googong’s developers, Peet and Mirvac, have welcomed the Budget announcement in a post on the Googong website. They say that by the time the new school opens in 2020, there will be 1,000 primary school-aged children living in the Googong area – enough to fill the new school on opening day. The new school will be built on 2.8 hectares of land set aside by the developers, adjacent to the new Googong North Village Centre. Googong Project Director Malcolm Leslie said the decision was timely as there was a rapidly growing population of school-aged children in the area and existing schools in the region were bursting at the seams. “The Government’s decision will be a big relief for the hundreds of local families who have children coming through the system,” Mr Leslie said. “Demand in Googong is unlikely to slow down any time soon. We expect the population will be half as big again in two years’ time and we are investing heavily to ensure our community has the best facilities when it needs them. “Googong’s first private school, The Anglican School Googong (TASG), has been a runaway success. It opened with junior primary and early years in 2015. Next year, the first Year Eights will start and, by 2022, the school will go right up to Year 12. 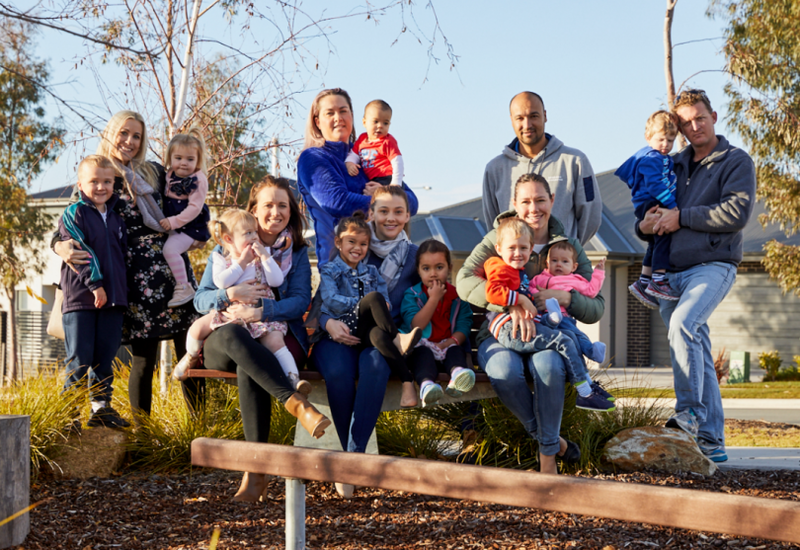 Googong parent Skye Cabrera, who opened Googong’s first family daycare, told Mix 106.3 that a new public school would provide a choice for families, not all of whom could afford school fees, and help maintain their community connection. “I really want my daughter to go to school with the child across the road or the one around the corner, so she has that very real sense of community connection,” Ms Cabrera said. “For families like ours, driving our child to school is not an option, so we would have no choice but to put our four-year-old daughter on the bus. It is fantastic to know that we will have a school close enough for local children to walk or ride their bike. The Googong news follows a pre-Budget announcement that Murrumbateman would also be getting a new school. The $31 million duplication of Old Cooma Road is set to begin next month and is scheduled to be completed by 30 December 2019.